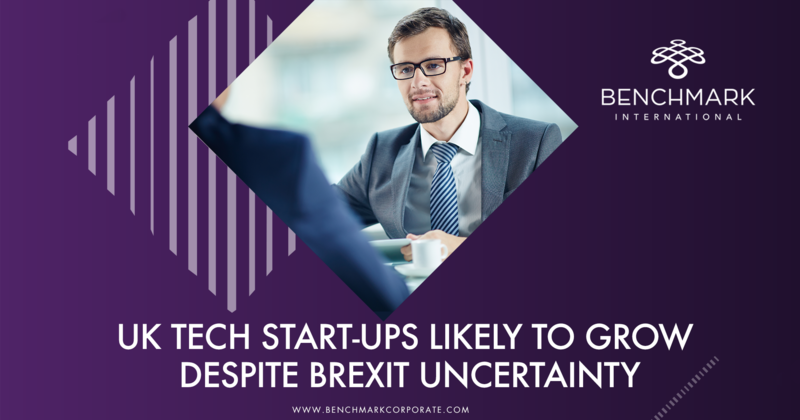 Uncertainty and speculation are rife over Britain’s departure from the EU but, despite this, it has been a golden period for UK tech. With multi-billion pound exits and venture capital (VC) funding at record highs, it is unlikely that this will come to a halt – instead, there may be a shift in emphasis for the sector as a whole. Technology start-ups can still thrive post-Brexit due to the reasons why they succeed – they need access to capital, access to talent and access to markets, and post-Brexit Britain should remain well positioned on all three. The sale of a privately-owned business is often the most significant financial event in the life of the owner. It marks the culmination of years of hard work and converts paper wealth into real wealth. It is a one-time opportunity with no do-overs. 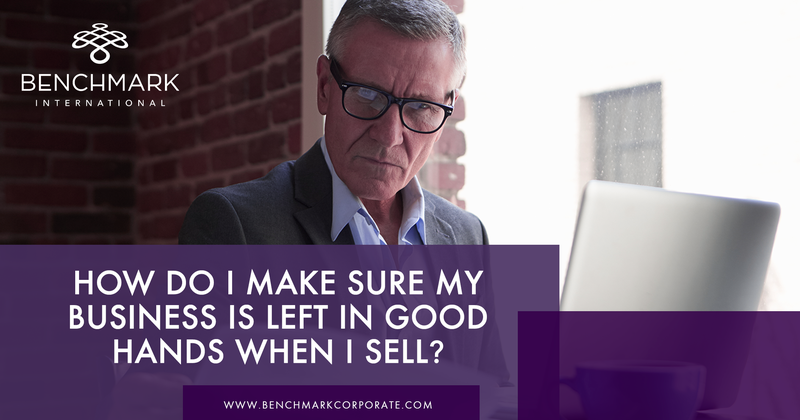 Every business owner surely desires the best economic outcome, yet, time and time again, business owners leave money on the table by not adequately preparing for the sale of their company. 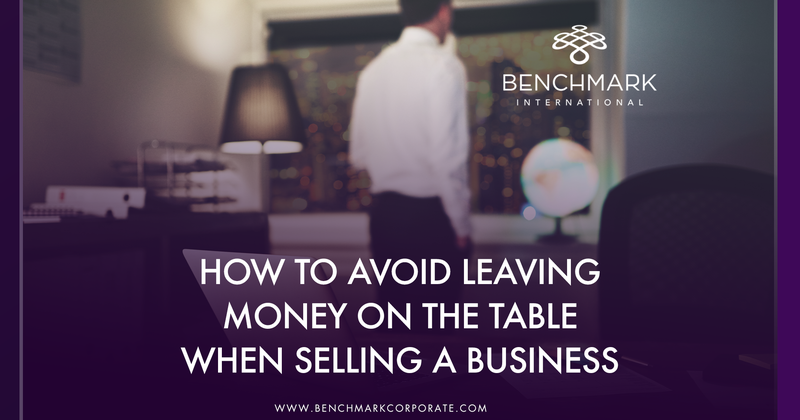 This article suggests five actions that private business owners can take to avoid leaving money on the table when selling their business. 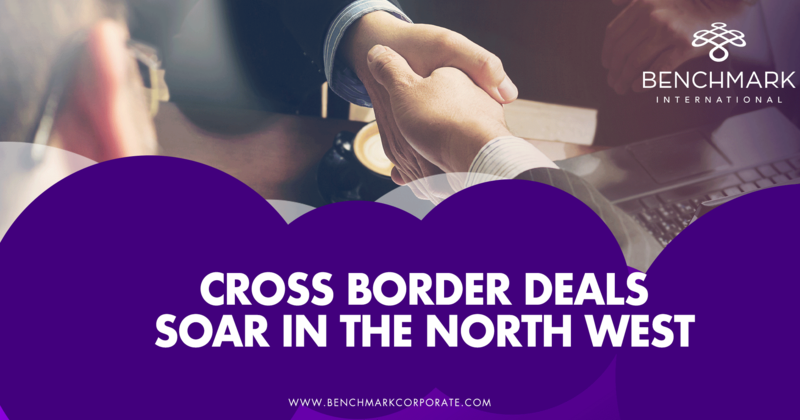 Cross border deals involving North West companies have doubled over the past year according to research conducted by Deloitte in partnership with Experian Corpfin. The volume of deals increased from the 59 in 2017 to 120 in 2018, with value up 450% from £1.2bn spent in 2017 to £6.6bn in 2018. When you are ready to take the steps to grow your business, you need to determine the funding you can receive to help make it happen. Many different funding options are available, but how do you know which is right for you? The first method that comes to mind for many people is borrowed funds. There are multiple options for gaining funding through lenders, including Small Business Administration (SBA) loans, traditional bank loans, micro-loans, and online business loans. SBA loans and traditional bank loans typically take months to secure and the repayment terms can run up to twenty-five years with interest rates varying. Micro-loans and online business loans can take less time to secure but they carry higher interest rates than bank loans and may have pre-payment penalties. Additionally, even if you get a loan, business growth is not guaranteed. If the borrowed funds are not used wisely, you can end up paying back money with interest that never helped you make any additional money in the first place, just digging you further into debt. Another method of funding is retained earnings. This approach uses a combination of operating cash flow and profits left in the business to fund your growth plan. Using retained earnings avoids adding debt and interest payments. You also stay in full control of your company by not involving outsiders in your business. However, use of retained earnings can be a very slow process if you must wait and build up the funds you need. You also run a major risk of not having the finances necessary to keep your company operating from a healthy perspective. Private equity is a way to acquire funding by selling shares in your company to outside investors. Through this long-term growth strategy, you avoid getting involved with a bank and you minimize your risk. With venture capitalists or angel investors, you also gain the benefit of added expertise and personal interest in the success of the business. One aspect of using equity capital is that shareholders will be expecting a return on their investment. This could result in the consideration of a merger with another company or having the company acquired by a larger company. Many companies choose to use mergers and acquisitions strategies because the growth is more imminent. Instead of waiting years for the business to grow itself, merging with another company can double the company’s size, reduce competition, and increase profitability. Merging with another business also gives you the advantage of acquiring intellectual property and expanding innovation. 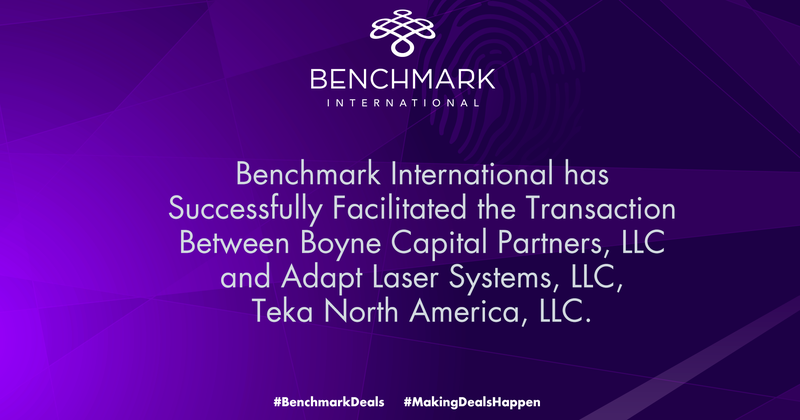 Working with an experienced growth partner such as Benchmark International will help you figure out the best direction for you, whether it is a merger, an elevator deal in which you retain a stake in the business, a cash-on-completion arrangement, or a complete exit strategy. There is a range of options available depending on how you want to see your company transformed. The best strategy will also depend on the state of your company and the current market. It is important that there is careful consideration of the cultural fit between the two companies and a firm understanding of how to manage expectations. Having the right connections around the world in various sectors is also a key attribute you want in your representation because it opens up a wealth of opportunities. The right partner can maximize value and make your vision a reality for the business that you have worked so hard to build. 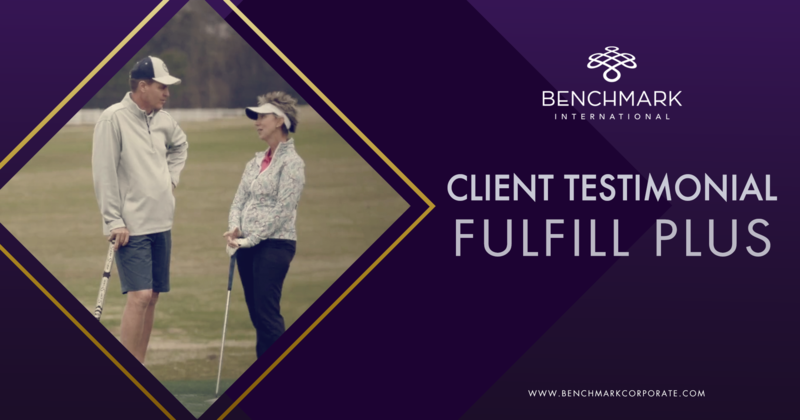 Benchmark International can be relied upon as a leader in the global landscape to get you the results you deserve. By finding ways to increase your exposure to the world, you can give your business the momentum it needs to grow. Examine your marketing plan. Broaden your social media footprint. Immerse yourself in the trade by publishing articles and having a strong presence at trade shows. Think of creative ways to interact with customers and target markets to generate buzz and get people talking. The extent of the opportunities available to you will vary depending on your company’s industry, but you will want to be sure you are doing everything you can to reach as many people that you can. Doing business a certain way may have gotten your business where it is today, but you should not be afraid to make some changes. Is there a new process or department you can implement? Is there a sales opportunity you are missing? Are there adjustments you can make to save time or money? Always be open to hearing new opinions, ideas, and ways of doing things. Markets can change quickly and you will want to adapt seamlessly. By closing the door on change, you could be closing the door on growth. It is just as critical to maintain existing relationships as it is to cultivate new ones. You will want to network in new circles and expand your horizons. At the same time, you will want to show your long-term customers that they are important to you. After all, they have been with you through it all and are partially responsible for your success. Stay engaged with them and focus on their needs. Your track record of lasting relationships is a reflection of your company and its values, making doing business with you more appealing to new customers. Those relationships can also be a source of referral of new business opportunities. Get a boost through mergers and acquisitions. Consider using mergers and acquisitions strategies as a smart option and faster route to generate growth. While greatly beneficial, pursuing a merger or acquisition can also be quite complex. This is especially the case if you are planning to expand into a global market, which presents its own host of challenges. You will need to determine if you need a cost synergy or a revenue synergy solution. For example, buying direct competitors to increase your company’s size and decrease competition is a revenue synergy. So is adding value by purchasing companies that are market adjacent to your own. This method can help you add new talent or gain ownership of intellectual property. In contrast, a cost synergy solution reduces costs through consolidation of overlapping entities. Getting this right can result in a valuable deal for all parties involved. Major deals include a large amount of small details, such as timing, tax planning, and logistics. Additionally, if you plan on leaving the business as part of the transition, you need assistance crafting your exit strategy. Consult a resource that has vast knowledge and experience in all of these areas. By partnering with a reputable mergers and acquisitions firm, it will be easier for you to navigate these complicated waters and ensure that you find the best strategy for your company’s growth. Looking back at deal activity in 2018 within the Irish market, there was a strong appetite for deal making as, while the volume of transactions dipped slightly, the 440 transactions recorded by Experian is at the higher end of the typical annual volume, and the value of transactions hit €92bn, up from €31bn the previous year. This was boosted because of an increase in large and mega-deals, with seven €1bn plus deals announced during 2018, up from six in 2017. However, it was the €52bn acquisition of Dublin-headquartered drug maker, Shire PLC, by Japanese pharmaceutical company Takeda that dominated the deal landscape. Not only was this the largest transaction of the year, but it was the biggest corporate takeover in Irish history, in a year characterised by high-value M&A in the global pharmaceuticals space – a trend that looks set to continue into 2019. Due diligence, the start of the end whereby a business is scrutinised by a prospective buyer to establish its assets and liabilities and evaluate its commercial potential before purchase. 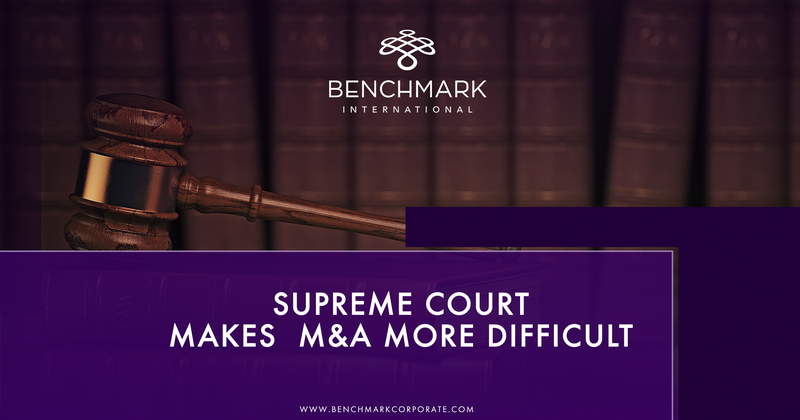 Unfortunately, it is very time intensive and can make or break an M&A deal. Thankfully, due diligence has evolved and improved, largely due to advances in technology and digitisation, helping those undertaking due diligence avoid physical data rooms and huge volumes of paper documents, instead using sophisticated, intelligent virtual data rooms, complete with digital content libraries and access to automated analytic reporting. This has led to greater speed, simplicity and security across the entire process, enabling practitioners to close deals faster. However, it is still a frustrating process, so is it possible that due diligence could become more efficient than it has in the past? Could technology transform due diligence? And what other factors could impact the process in the next five years? Federalism has always posed challenges for middle market M&A. While compliance with federal laws and regulation does not typically lead to issues in acquirers’ due diligence on middle market companies, the companies do often have problems with those pesky out-of-state state-level issues. Experience indicates that this is true for a variety of reasons. 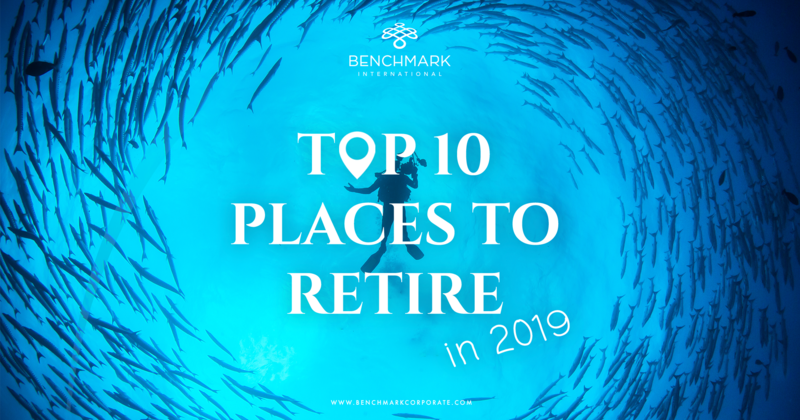 First, many of these companies have only recently expanded into other states and, as is common in a growing business, operations often get ahead of back office tasks (such as compliance). Second, owners of middle market businesses are often selling precisely because they realize that their businesses have grown to the point that they require additional overhead expenses that the owners are not interested in dealing with. Third, ever states’ rules are different and ever-changing and it is very hard to get a handle on six, or a dozen, or 49 different sets of rules and shape a business compliant with each set. Fourth, and nobody likes to admit this, states can be a bit lax on enforcing their rules, especially on out-of-state companies. Acquirers are well aware of these facts and, as a result, dig deep on state-level issues in their due diligence. While very few business owners are attorneys, most have at least a vague sense that when they establish a “physical presence” in a state, they need to start worrying about that state’s laws. Most probably also realize that physical presence is a bit fuzzy and that each state interprets the term differently but the US Constitution places a limit on the breadth of that definition due to the Interstate Commerce Clause. So, this has always been a nebulous issue but at least there was a bit of a bright line test around when a company might have to start thinking about looking at the rules in a new state for things such as income tax, collection of sales tax, workers compensation and the like. Ah, things were so much easier before 2018. Then, on October 1, 2018, the Supreme Court issued its ruling in the case of South Dakota v. Wayfair Inc., et al. South Dakota was attempting to require the online retailer Wayfair to collect sales tax for online sales for which goods were shipped into the state’s boundaries. Wayfair had a very strong case that it had no physical presence in the state and therefore the state could not force it to do anything, especially not collect taxes for Pierre. The state argued that it had a very powerful statute that said even without physical presence it could force companies to collect sales tax on sales made into the state if the seller had an “economic presence” in the state. Wayfair responded that decades of Supreme Court rulings indicated that this statute violated the US Constitution as an unfair restraint on interstate commerce. The Supreme Court stepped in and changed its mind. Since that day, the bright line with regard to when to start worrying about a state has been erased – at least with regard to sales tax. And, in the four months following the opinion, states have begun to rub that big eraser across other areas of law as well. The next to disappear is likely state income tax, then perhaps use tax, workers compensation, and unemployment insurance. As of the writing of this article, of the 45 states that have a sales tax, all but eight have already passed the economic contacts test for sales tax. (That sure didn’t take long.) How many middle market companies (selling items subject to sales tax) have adapted their practices to this tsunami of a tax change? From what we’ve seen, just about zero. How many acquirers have adjusted their due diligence process? Let’s say the adoption rate there is at least as fast as those of the 45 states - and that is being generous to the states. The results on M&A already include (i) longer due diligence, (ii) acquirers demanding larger escrows and holdbacks, and (iii) purchase price adjustments. The longer middle market companies go without getting up to speed on the new reality, the larger the potential penalties on the business once the acquirer gets hold of it and therefore the larger the issues will become in the deal process. The Year of the Pig is now upon us and, with this, comes feng shui tips and predictions on our health, career and finances. So what does feng shui predict for the year ahead in terms of business and prosperity? Since the early 70’s, Nashville has been considered a hub when it comes to the health care industry. Nashville has developed and changed the landscape of the industry in the past 50 years. The development of the community began with Hospital Corporation of America (HCA). Largely through hundreds of mergers, acquisitions and well as new companies, we’ve seen industry trends set in Nashville, as well as startups and spinoffs bringing different sectors of the industry to Nashville. Before the Hospital Corporation of America, most hospitals were non-profit or affiliated to a religion. In 1969, one year after inception, HCA became a publicly traded company. This changed the landscape of the industry for good. Through an abundance of M&A transactions, HCA now owns and operates more than 170 hospitals in 20 states across the country. In 1995, the Nashville Health Care Council was established, understanding the Nashville health care industry was responsible for $3.7bn in revenue at the time, while providing 53,000 jobs. Today, the council reports $92bn in annual revenue generated, all while providing more than 570,000 people employed around the globe by healthcare companies based in Nashville. There are over 900 companies that directly provide health care services, or are in some way involved in the industry. These numbers are massive, and spurred a ripple effect around the country causing more private equity spending to focus into the industry. This effect has led to eighteen publicly traded healthcare companies calling Nashville their home, while enticing more than $1bn in venture capital investments over the past decade. The leaps and bounds made during the past 50 years are obvious, as the entire landscape of the industry has complete changed. During 2006, Bain Capital, Kohlberg Kravis Roberts & Co. and Merrill Lynch completed a $33bn leveraged buy-out of HCA. This was the largest leveraged buy-out to date and spurred an unprecedented amount of investment in the industry. In 2011, HCA returned to the public market in the largest US private equity-backed IPO to date ($3.79bn raised). HCA’s chain system business model was emulated by hundreds of not-for-profit hospitals throughout the country, and they are considered to be the trailblazer of the industry. 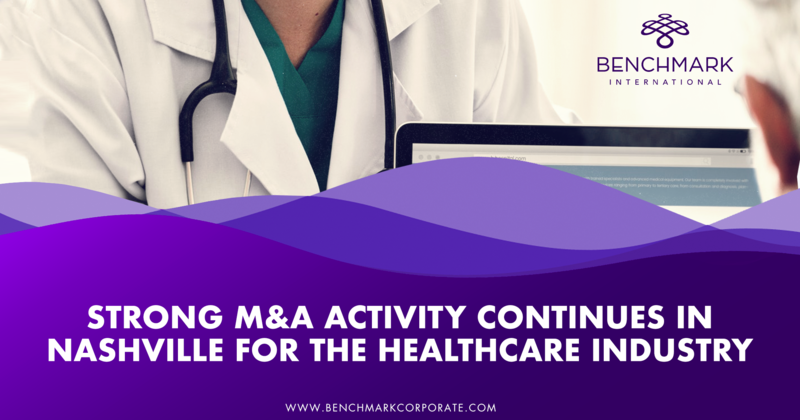 The M&A landscape continues to change the healthcare industry to this day. Through the first half of 2018, the healthcare sector saw deal value increase to $315bn, up from $154bn in the same period the previous year. The healthcare sector ranks third in terms of total deal value. From a valuation perspective, healthcare M&A transactions were at an all time high in 2017. A large driver within the space was within the senior housing and care marketplace. The number of announced transactions is on pace to set a new record, but the dollar amount of these deals will not exceed the record. While this shows the hyperactive nature of the marketplace, these deals are occurring as smaller transactions rather than the mega-deals we’ve seen in the past. This is a very attractive marketplace for sellers all things considered. Private equity groups accounted for a large uptick in spending during Q4 of 2018. Financial buyers are notably optimistic about the healthcare market, with 120 total deals announced in the final quarter of 2018. This bodes well for 2019 with 2018 in the rearview, healthcare continues to expand due to high valuations, a very large number of transactions, and an increasingly attractive marketplace. For the third year in a row, the number of small business transactions reached record numbers, as reported by BizBuySell. Financial performances of the small businesses are increased year over year, as well. 49% of sellers said their businesses performed better in 2018 compared to 2017, and another 36% had similar figures comparably. With financial performance increasing, the value of the transactions inevitably grew. The medium asking price for small businesses in the US grew 10% from 2017, a clear indication that buyers are willing to pay more for businesses with a proven financial track record and promising futures. 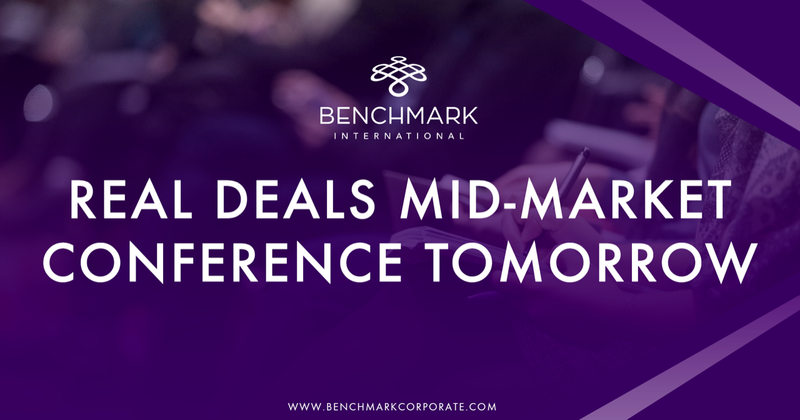 Benchmark International is attending the Real Deals Mid-Market conference on the 5th and 6th February at One America Square Conference Centre, London. If you are interested in the vast number of global opportunities that Benchmark International has to offer, make sure to come and speak to the Benchmark International team. How Can I Expand My Business Internationally? Expanding into new markets around the world is an exciting opportunity for business growth. But where do you start? There are several factors you will need to consider when undertaking a venture of this magnitude. First and foremost, you will need to determine if expanding into a new country will be profitable. Identify your target market and assess the need for your commodity in that market. Perform a product gap analysis or SWOT analysis to determine demand and how your product or service stacks up to local products. You basically need to determine whether anyone will buy it, so it can be a wise move to test your product in that market before going any further. One of the most important steps you can take in expanding to a new market is to make sure you take the time to understand the country’s culture. Etiquette, language, and business culture can vary greatly and impact the success of your endeavor.For example, make sure your product or business name translates appropriately into the native language. You will also need to think about the country’s logistics and how you plan to distribute your product or service. Consider legal regulations, tax laws, insurance needs, banking transactions, transport costs, data protection, and labeling requirements. You should also protect your intellectual property by looking into trademarks, patents, and design rights. Hiring an international business consultant can help you avoid any pitfalls and ensure that all your bases are covered. If you plan to acquire an existing business, you will need the proper guidance from an experienced business acquisitions firm to help find the best opportunities and broker a successful deal. There is plenty of due diligence required to adhere to local laws and make sure the terms of the acquisition suit all parties involved. At the same time, the right acquisition can be quite advantageous and reduce some of the risk that comes with an international venture. The business to be acquired has existing infrastructure in place and understanding of the local market’s regulations and relationships, offering some stability to a complex process. 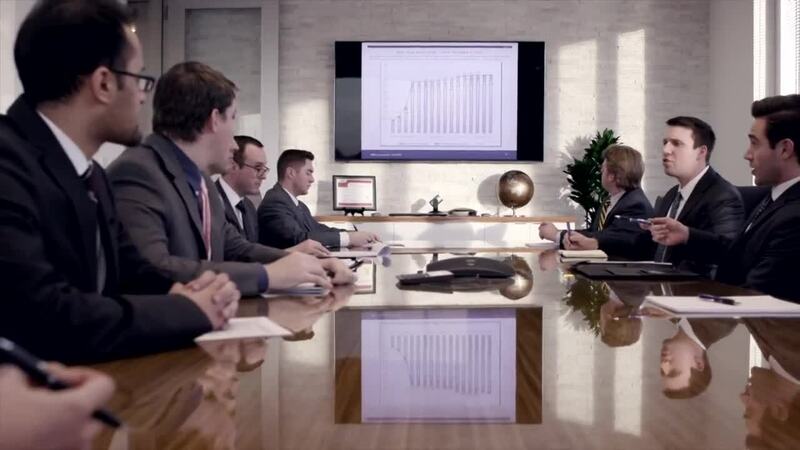 A sound strategy can make all the difference when buying a company. There is a great deal to manage when expanding a business internationally, but you don’t have to do it all alone. 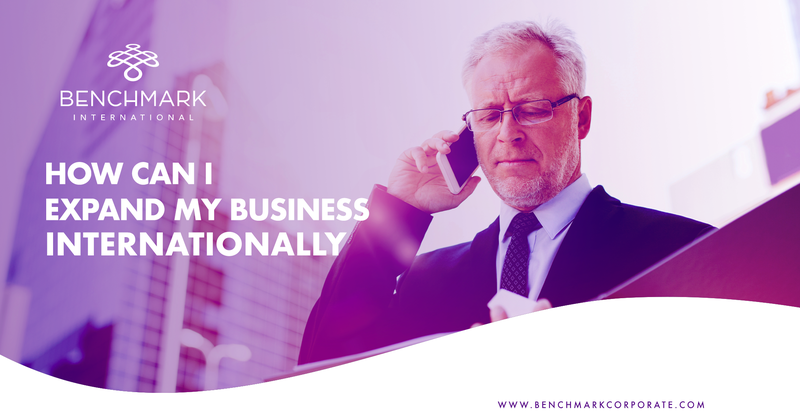 World-class business experts with strong global connections, such as Benchmark International, can help you analyze the market, navigate the process, and tackle the world.